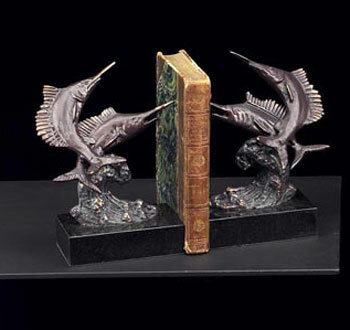 Bring class and charm to your desk or office area with these bronzed on marble base bookends. Perfect for any room decor. Measuring 7 inches H. Ships in 3-4 business days. Bring class and charm to your desk or office area with these bronzed on marble base bookends. Perfect for any room decor. Measuring 7 inches H.